Generally most things are of interest for me, and maybe it is because I always like to learn something new. I think that to some extend curiosity is healthy, because if you don't posses any curiosity, you will never learn something new. Links to some of the websites I frequently visit are placed under the category Favourites. Cars, Formula 1, Motorcycle, Nature photography, Music, Planes, Travels and lately "old school" Shaving. As many other of the male species I have as natural an interest for automobiles, as women have for shoes. There is nothing like a thoroughbred sport scar or racer. The design, the technique and the performance can make the pulse rise. Real thoroughbred sport scars where it all combines into a higher state, can by my opinion only be Italian or English. And top of the lot, none beside or above is red, blood red - FERRARI. In 'Favourites → Cars' I have put some links to the car makes I find special, as well as the makes history. This interest of course has its starting point in the interest for sports cars. And I want to make it clear: I am not a Ferrari fanatic (Tifosi), I will describe myself as a super-enthusiast - although I'm not sure my family total agrees with me on that particular subject. I couldn't care less who's behind the wheel of the Ferrari F1, as long as the team is winning - and luckily it happens some times :o)) - even though it does seem a little difficult this year. Until this date Ferrari has won 16 world championships for constructors and 10 individual championships in Formula 1. 1961, 1964, 1975, 1976, 1977, 1979, 1982, 1983, 1999, 2000, 2001, 2002, 2003, 2004, 2007 and 2008. If it has any interest at all, then the link to Ferraris history as well as their website is well worth a visit. I was so lucky to get a drivers licence to motorcycle in the military, as we used motorcycles as transport for couriers. The first motorcycles we had was Yamaha DT or XT 250 but they couldn't take the stress, so as a replacement we got BMW R 65 GS a real good bike on the road although it was a bit heavy when driving in the terrain. The Yamaha was more easy to get out of a hole (125 kg ~ 275 lbs) than the BMW (225 kg ~ 496 lbs). My first bike was a Yamaha XS 360, which I didn't had for very long. The bike was unfortunately retired, one reason being my shift in career, but now I think it is time to revive the interest, so I will do that by investing in a bike within the next year. (written in the spring 2005). I have a little plan of touring Scotland on motorbike in 2007. Since I wrote the above this has happened, I found my dream machine! (September 2005). My big dream have always been to "get" a Ducati or Cagiva (I have a weak point when it comes to Italian vehicles), and I never thought my wallet could afford such an expense. But on a normal Tuesday, where I just cruised through some ads to keep up with the market, well suddenly it was there - a cool yellow Ducati 750 SS, and best of all; it wasn't too old, it had a low mileage and it was almost within my financial capacity (I'll just mention that in Denmark we first pay for the bike and then we have to pay a registration fee of 180% before we can get a number plate, and then 25% VAT - so you can understand cars and motorcycles are quite expensive). 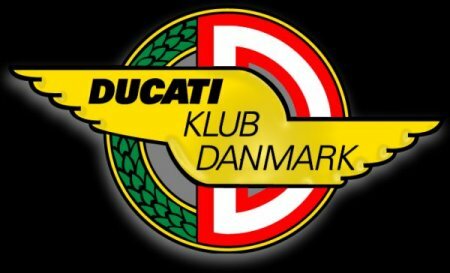 But with some help from my bank, I have almost leased the Duc, I drove to Lystrup just outside Aarhus on the following Saturday (www.larsenmotorcykler.dk), to see if the bike was as good as the picture and the description. It did, in fact I didn't dare to leave the shop without having bought the bike, so I did - I had to otherwise I wouldn't have had any sleep. Men know what I mean, and to the women I can best explain it like this; it is just the same as if you have just found the perfect pair of matching shoes to your favourite outfit. If you consider buying a bike, I can only recommend Larsen motorbikes, the service is excellent and the selection of motorbikes is huge. At the moment the driving season is close to the end (Oct. 2005), but as soon as the weather is tolerable I'm airing the Ducati. I have also found out that a helmet has more than just one safety function, besides the obvious, it keeps me from straining my smile muscles. If it wasn't for the helmet, the corners of my mouth would be placed behind my ears. Now I'm just curious of how long I get to drive it, because it is very difficult to keep under the "clip limit" - but I'm trying. (In Denmark we get a "clip" in our driving license if for example we exceed the speed limit with more than 30%. Some other specific traffic violations also gives a "clip". You can get two clips within three years without anything happens except from a fine, but the third clip releases a suspension until a new driving test is passed within three months of the suspension. If the test is passed you will drive under probation for the next three years, where one clip will result in a drive ban of three years). A couple of pictures of my yellow bike can be found here. I have a couple of projects in mind regarding the bike. When I have shaken the rust off the body, and I don't mean the bikes, I hope to travel round Scotland on 2 wheels, something I expect will happen within a couple of years. With all those nice small twisted roads in Scotland alongside the fantastic scenery, a vacation on 2 wheels must be a dream (my further opinion on Scotland can be seen here). The other project is closer by. When I'm out driving anyway, I can just as well have a goal. When travelling the country I have often seen a town or place with a funny or odd name, so my project is to collect these names. My plan is to take a picture of my Ducati alongside the sign of the town or the place. This might not be of interest for foreigners but I have pasted the pictures with a small comment anyway. There is nothing as good as getting out in the nature for a walk carrying the camera. My main interest is roe deer and red deer, landscapes, fencing poles (I don't know why, but I find them quite interesting) and rare plants like the flower Spring Pasqueflower/Spring Anemone (Lat. Pulsatilla Vernalis) and the Clubmoss (Lat. Lycopodium) family. Armed with a camera you are in luck because the hunting season lasts all year, and you can take home rare plants in form of a picture, and leave the plants where they belong - in the nature. I have put a few photos taken over the years in the folder Photos. You can find music for any occasion. The genres are numerous - Pop, Rock, Jazz, Opera etc., and I listen with great pleasure to most of them. If it has anything to do with age I don't know, but in the later years my interest in opera has risen. But best of all is country. To me Ferrari are cars with soul, country is music with soul. And in that connection I would like to stress that country music is much more and else than Johnny Cash, Dolly Parton, Patsy Cline and Kenny Rogers (many Danes perception of country music). Faith Hill (definitely one of my favourites). There is something just as fascinating about planes as cars, something I can't describe. My heart beats for military aircraft, and especially fighters, no matter the country of origin or age. I have previous served 10 years in the Royal Danish Air Force, so maybe it's a work injury, in any case it didn't cure me for this interest - on the contrary. I will agree with Hans Christian Andersen to some extent, "To travel is to live". But when you have been out, it is rather nice to come home as well. When I travel it most often is with family or good friends, somehow it gives more since it is rare you have the exact same perception or opinion of things, and thereby you have the chance of learning something new. Many years ago I gave myself the goal to visit/conquer 10 different countries with the imagination that it would take a lot of years if ever to fulfill. But in 2000 I suddenly reach my goal, not the least thanks to the discount airlines which gives you the opportunity to travel around Europe cheap. My criteria to count a travel as a conquest is that as a minimum you have to stay more than one night in the country, and been out to see something of interest. Staying a whole vacation at the pool or the beach is not for me, I want to discover and learn. My 10 conquests is: Germany (5 times), Norway (2), Scotland (6), Ireland (2), Italy (2), Spain - Canary Islands (4), Tunisia (1), Austria (1), USA (2) and the Caribbean (1). In the Caribbean we visited Puerto Rico, St. Croix, St. Lucia, Barbados, Antigua and St. Thomas. I am definitely not finished travelling, just because I have reached the goal, when one goal is reached you just have to make a new one. So at the moment my coming goals are: a trip through the Panama Canal (the plan is under construction. Goal: autumn 2006 - done that), Portugal (both mainland and the Azores, maybe one of them in 2010/11), Scotland on motorcycle (Goal: 2011/12). My absolute favourite travel destination is definitely Scotland. It has a very special place in my heart, and because of that I have chosen to extend that subject on its own page. 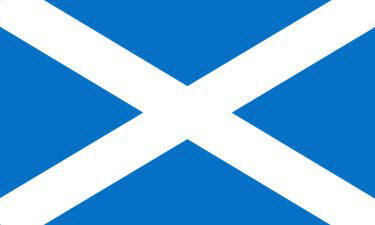 Click here or on the flag if you want to know more about Scotland. Well, it is quite straight forward - machine or modern multi blade razor. But no, I've gone "back to basic". I'm fed up with amongst others the prices for the razorheads and even though they add more and more blades, the shave isn't getting any better - it is however easy and fast. By going back to a "real" razor with a double edge blade or a cut throat razor the whole ritual regarding the shave has become a pleasure rather than something that just had to be overcome. It takes longer, but there is something special about stirring your own soap to a rich foam and then applying it to the face with a real hair brush - regardless if it is made of boar or badger. For a closer elaboration, equipment list and link collection click here.